Deezloader Remix is an improved version of Deezloader based on the Reborn branch. 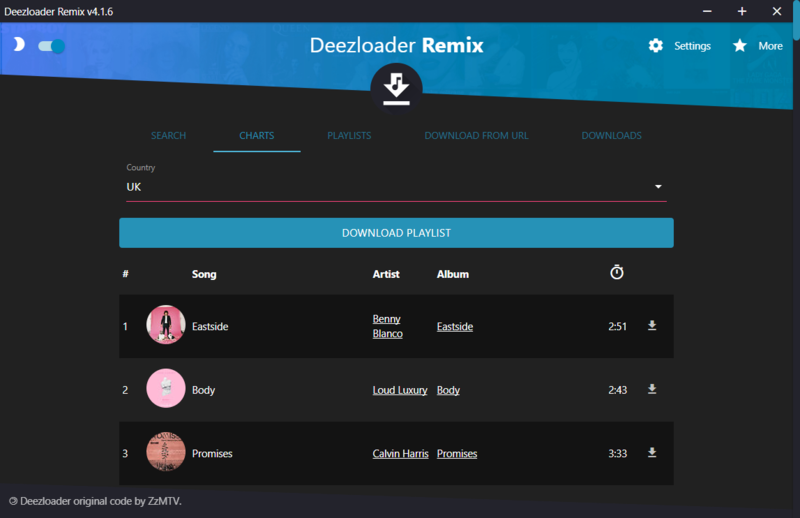 With this app you can download songs, playlists and albums directly from Deezer's Server in a single and well packaged app. All compiled downloads are on Telegram. If you want to buid it yourself you will need Node.js installed, git and npm or yarn. To start utilizing the app you should open a terminal inside the project folder and run npm install. I do not recommend you doing this illegally or against Deezer's terms of service.